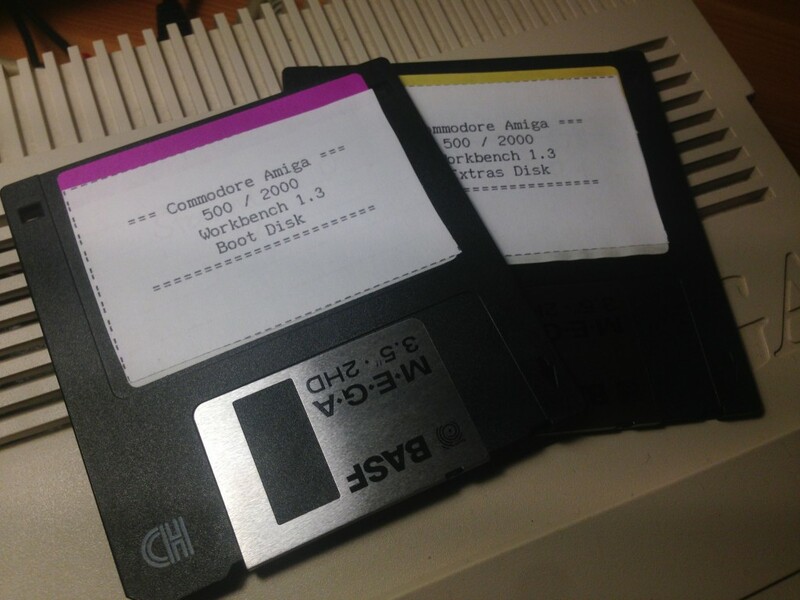 Today, I wanted to create new set of Workbench 1.3 floppy disks and I am certain that I will keep them in my disk box until the disks won’t work anymore (hopefully a long time as the disks are new old stock). For those disks that I want to keep around forever (or at least a long time), I wanted to create more suiting labels for them. I decided to create them on my Amiga 500 and print them with my Commodore MPS 1230 dot matrix printer to fit the style of the media ;-). This printer is a character-based printer. That means that this printer is capable of printing only one font that looks like a typewriter. The computer sends the characters to print line by line to the printer, along side with some control characters like “carriage return” and “line feed” but that is beyond the point. The printer will then use it’s built in typewriter like font to print whatever characters the computer has send. 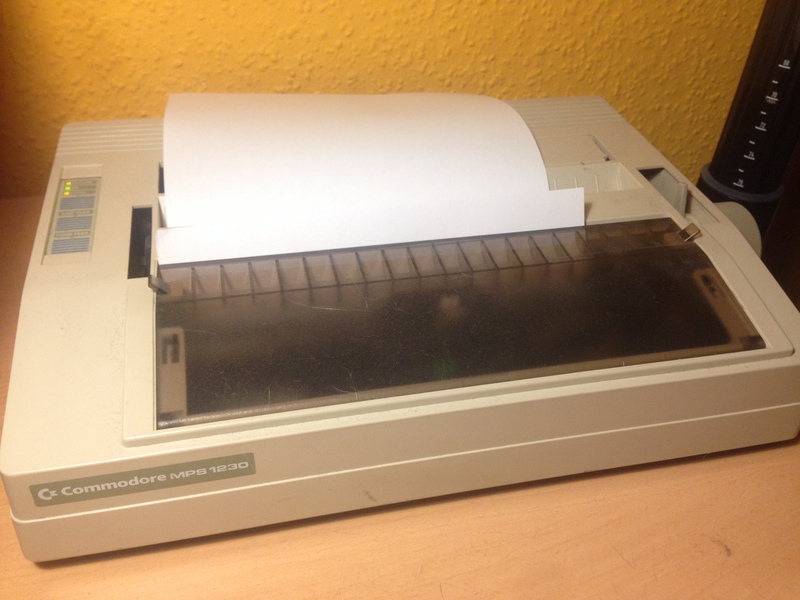 So I created a template on my Amiga 500 that lets me print my own floppy labels with my dot matrix printer. I don’t mind sharing my “work” (if you can call it that ^^) so can find the finished template in this Github gist. When you print these labels on a character based printer like mine, the dimensions of the borders will be exactly those of a floppy disk label. If you edit the text inside, be sure to keep the number of lines intact as well as the whitespaces between text and border. Print them and cut out the labels alongside the dashed lines. Then, use some glue to stick the labels to your floppy disk. Amiga, English Post, General, Retrocomputing. permalink.